There was just something about watching the kite in the distance that made me want to photograph it. Even then, I thought of freedom. Kites are free to flow in the breeze, to glide wistfully in the invisible currents of air above. Yet, they are held securely by a tether. Attached to the string, they will not be lost. Jesus replied, “Very truly I tell you, everyone who sins is a slave to sin. Now a slave has no permanent place in the family, but a son belongs to it forever. 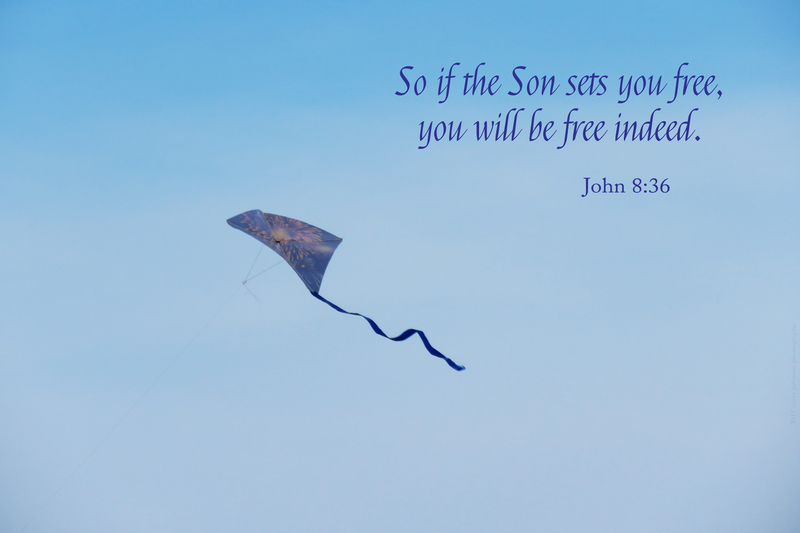 So if the Son sets you free, you will be free indeed. True freedom is found only in Jesus. 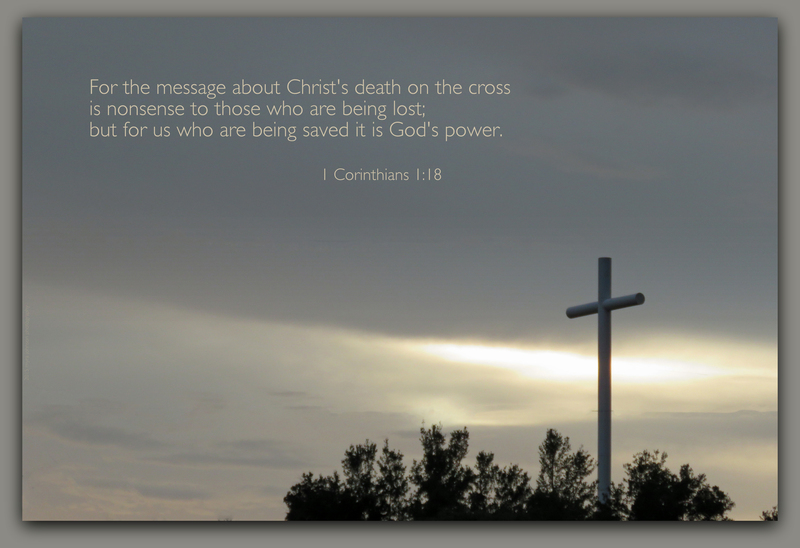 It may seem strange to consider that being held securely by His love and power brings us freedom, but it does. 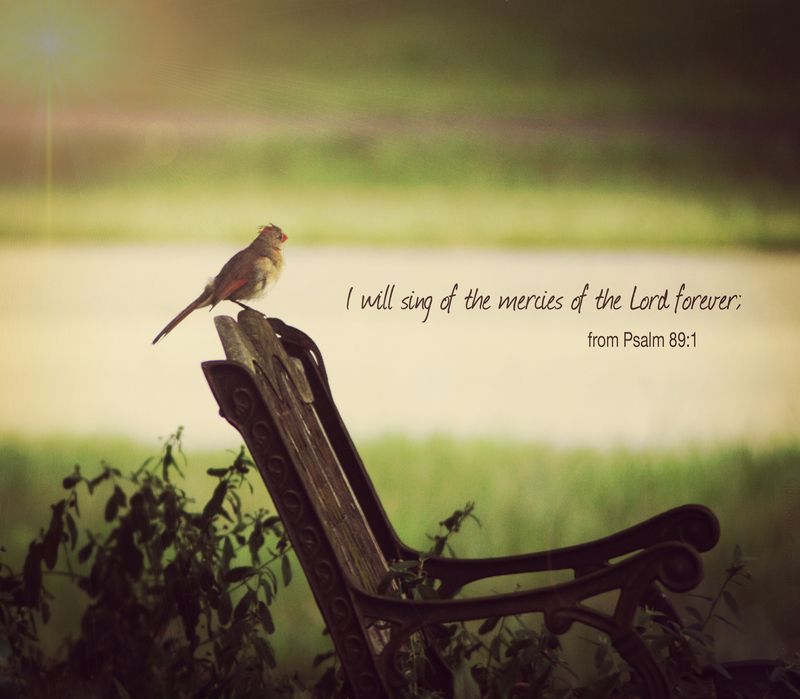 Tethered to His mercy and grace, forgiven and free—we are free indeed. 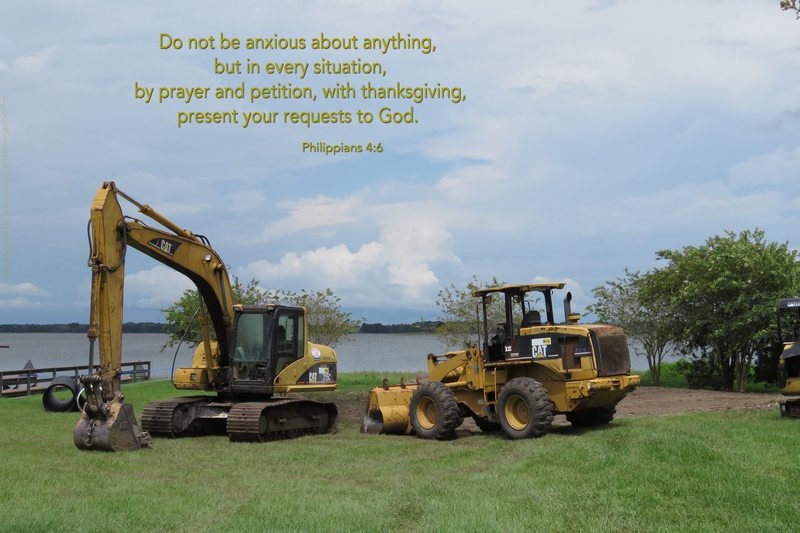 One of the first verses that I can remember memorizing after I became a Christian was Philippians 4:19. 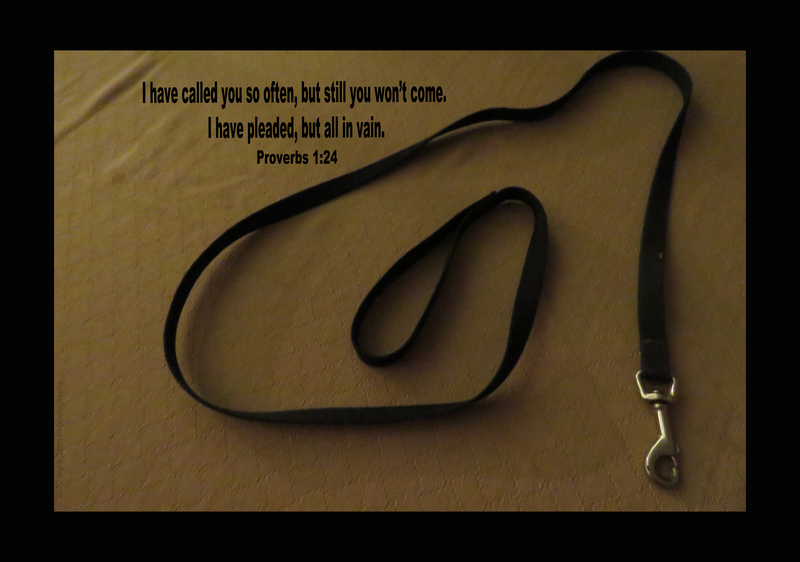 Through the years, this verse has become alive in my life, as God has truly provided for me and taken care of my needs. 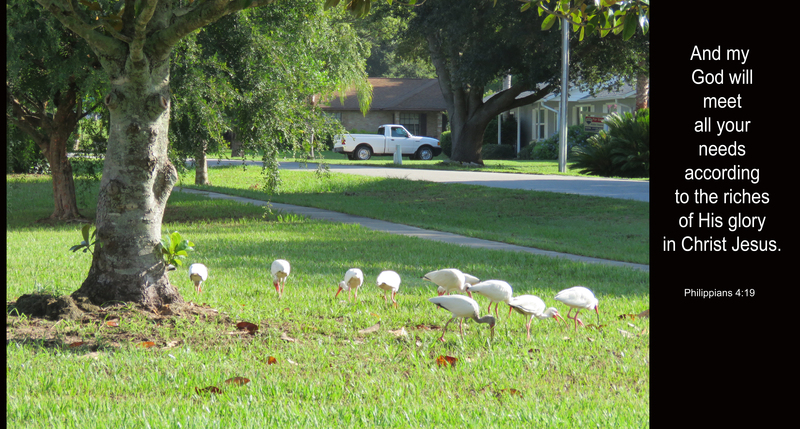 Just the other day, I was driving down the street when I saw a flock of birds in a neighbor’s yard. 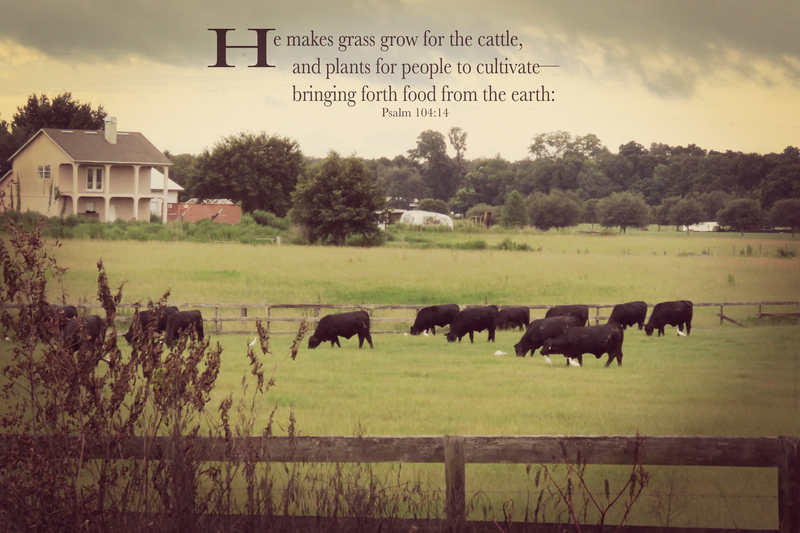 Stopping the car, I took a moment or two to photograph them as they were happily gathering God’s provision for them in the grass. If I think about my life, I know that His provisions have been there, right where I could find them at the time of His choosing. 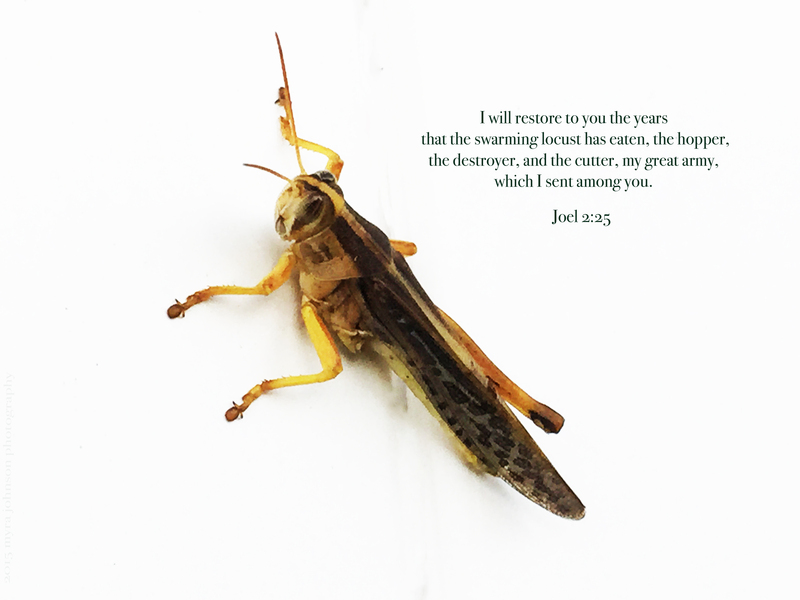 What in your life do you want to be restored by God? 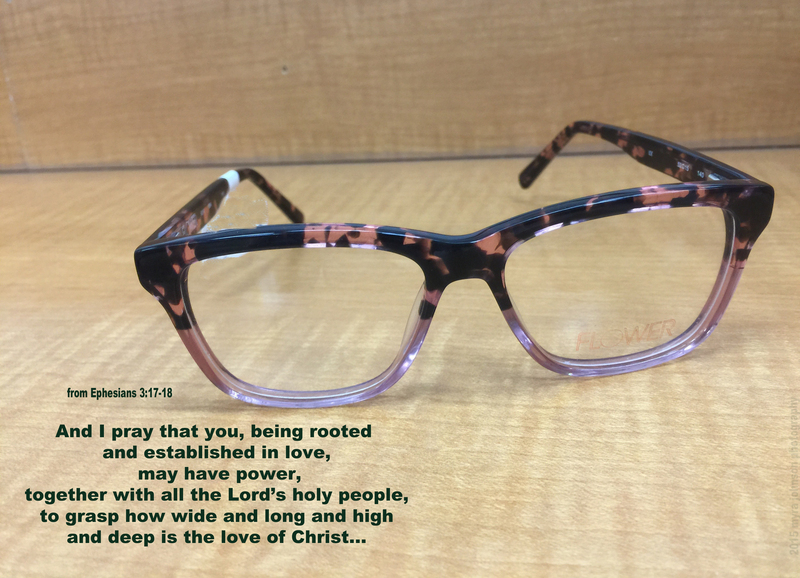 Do you feel that you are loved? Loved with a love that is high and deep? What trouble do you have today? 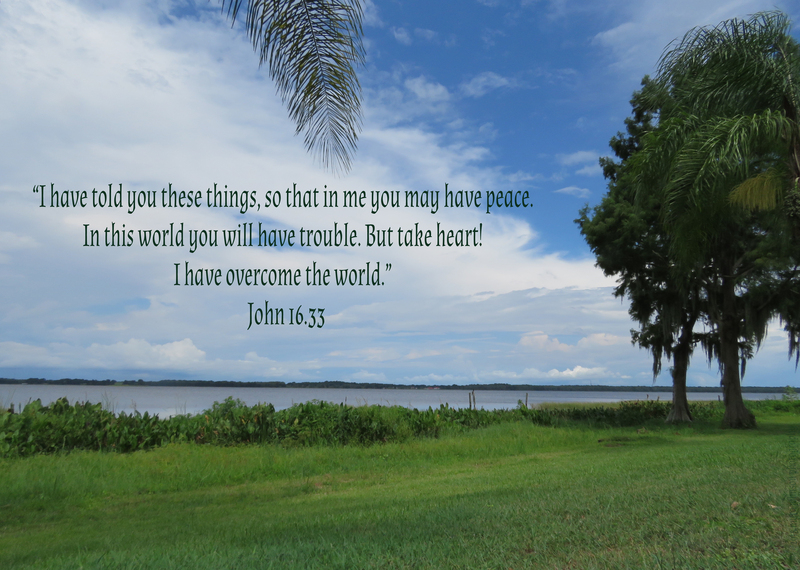 Has this trouble stolen your peace? There was a rocket launch not far from my home yesterday. It is always very beautiful to behold if the departure time falls at dawn or sunset. The rays of the sun hit the trail made by the rocket, creating a wonderful sight. God has allowed us to have the intelligence and technology to explore what He has made beyond the ground that we live on. Yet, it is only His allowance…. 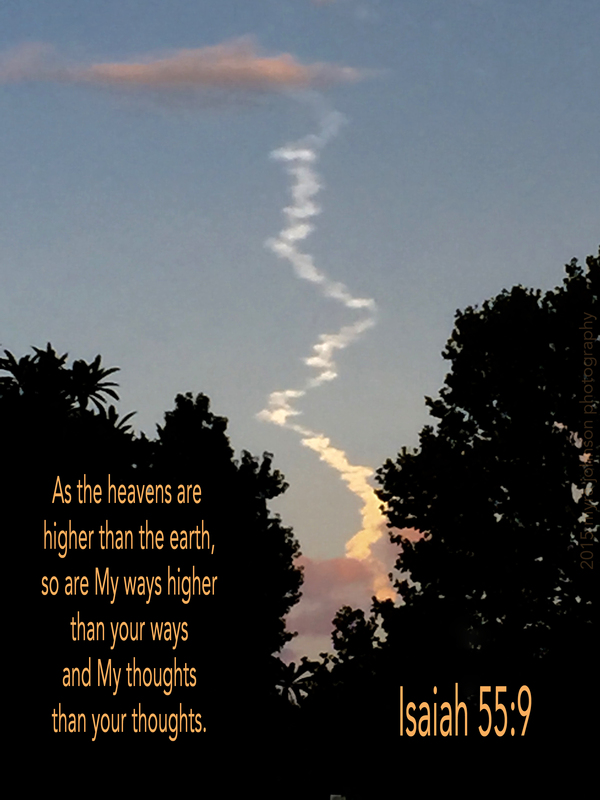 He is the Creator of the universe and His ways will always be higher. Walking through the park with a friend, we came upon a squirrel. When I see these creatures in my own yard, they are quite shy and usually run away if I come close. This was not the case with our little park friend. Instead, he was very comfortable approaching us, hoping to be fed, no doubt. He had come to trust other visitors and he felt safe with us. Fear is a very strong emotion. As Christians, we are not to live fearful lives. We are to experience life with power. Life with a sound mind. Some people don’t fear God. They may not even believe in Him. At the end of their lives, no matter what they were known for, will they be considered wise? 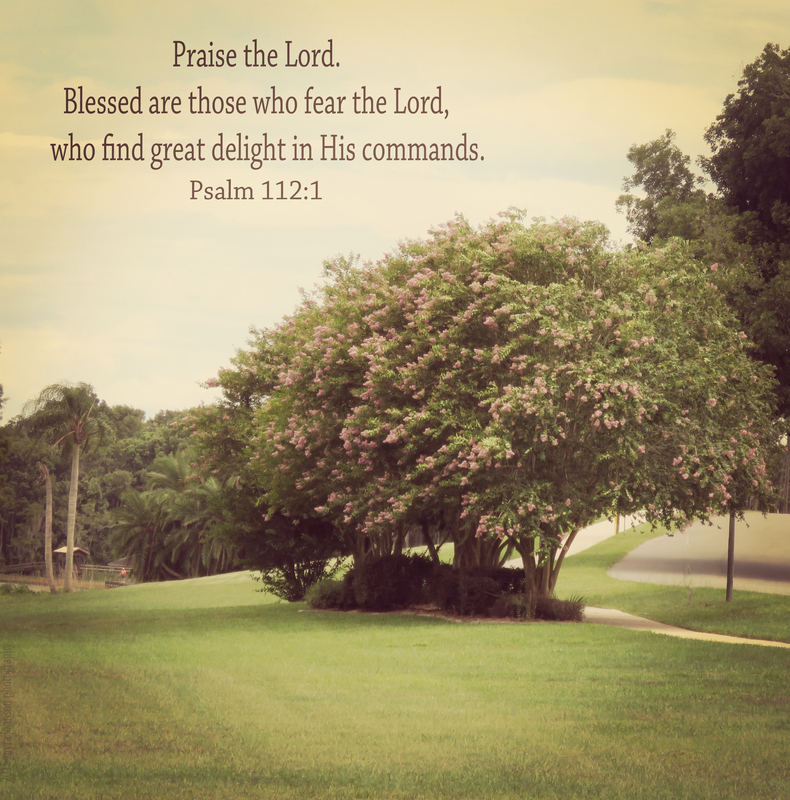 And what of those that do have fear and reverence for God, believing in His Son? They will find at the end of their lives that doing so was the wisest decision they ever made. Yesterday, I heard a very interesting story. It seems that once there was a woman who had several children. She was a widow and she had no car. One of her young children needed to go to a doctor appointment out of town. Speaking with her pastor, she told him of the need. The pastor contacted a man in the church and asked him if he would take the young boy to the doctor. After getting some time off work approved, the man came to take the child to the appointment. On the way the child asked the man a question. “No. Why would you think that?” the man replied. “My mother prayed that God would send someone to take me to the doctor and no one came except you,” was the boy’s explanation. There was yet another question to be asked. “Well, if you’re not God, do you work for Him?” asked the boy. I heard this story while in church yesterday. The sermon for the morning was about doing all our work—everything that we do—-for God. If I am to be a living sacrifice to God, I will be doing things that He wants me to do. It may not be taking a child to the doctor, but it could be. It might be checking on a neighbor, listening to someone cry as they are grieving, or giving a gift to a friend. It also could be doing a good job at the many tasks I have at work and at home. 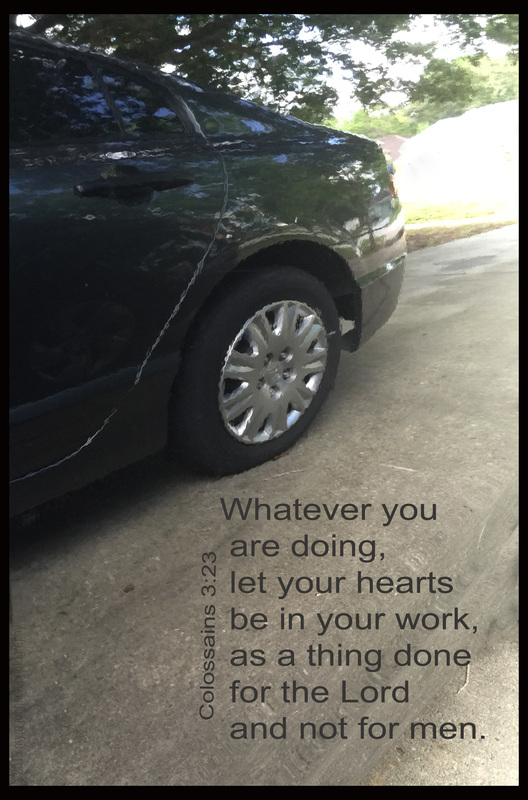 As Christian believers, do we work for ourselves? Or, do we work for God? I am not a very experienced gardener, by any means. The flowers and plants that I do have are all somewhat low maintenance. More times than I would like to remember, I have unintentionally been the cause of a plant’s demise. When our family moved into our house sixteen years ago, there was a single rose bush in the front garden area. Since I knew very little about rose bushes, I left it alone most of the time, hoping it would be all right. A few weeks ago, I decided to face my fear of possibly destroying the bush and actually do some pruning. The bush only had two fairly large canes coming up from the ground. I decided to cut them off at about two feet high. Taking the cut branches that had once been my five foot tall rose bush, I placed them in water and later planted them. Very quickly, the two solitary canes began to grow new branches. To date, there are four new branches that have doubled the height of what I had left and each branch is making a rose. In fact, this afternoon, I photographed the first new, red rose to emerge after the pruning! The old, spindly branches needed to be removed for a long time, but I was afraid. I’m not just that way with roses. There have been times in my life when I have been too afraid to get rid of things in my life that were holding me back. Things that were in the way of becoming what God wanted me to become. And it wasn’t only things that I was afraid to allow God to prune, it was attitudes and feelings. Distractions from what was most important. 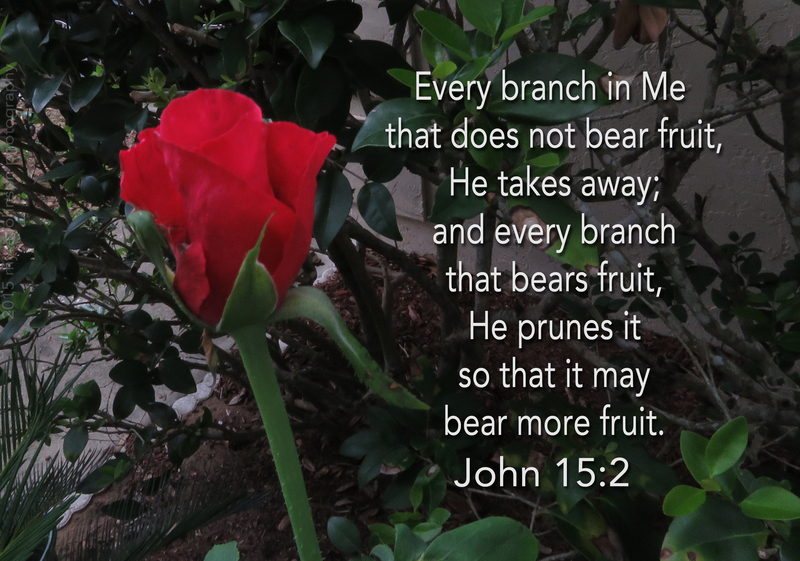 Sometimes pruning has to take place if there is to be positive change. There is an open field behind my house. 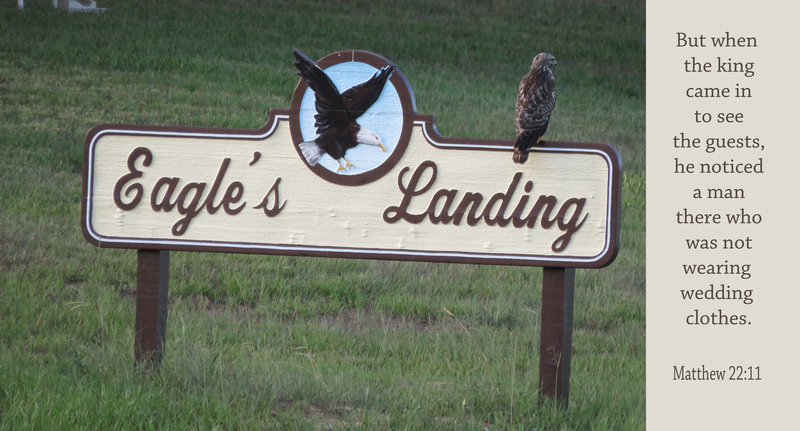 A few days ago, a red-shouldered hawk decided to perch on the Eagle’s Landing sign. I was able to take several photographs before he ventured on his way. It would’ve been quite the sight if the hawk had actually been an eagle! Still, to see the painted sign with a living hawk together made me pretty happy. I started thinking about something, though. What if the area was an “eagles only allowed” community? I know that’s a silly thought, but suppose it was? In that case, the hawk would be out of place. He’d be forced to leave. I thought about an example Jesus gave about a similar situation in the parable of the wedding banquet, found in the book of Matthew, in chapter 22. Jesus spoke about the kingdom of heaven being like a king who was preparing a wedding banquet for his son. The king had sent those who served him out to tell all the people who had been invited to the event to come, but they wouldn’t. So the king sent more servants to tell them about the banquet being ready and that it was time to come. The king then asks the man how he got into the banquet without wedding clothes. The man had nothing at all to say, so he is thrown out into the darkness. So, what does this have to do with hawks and eagles? 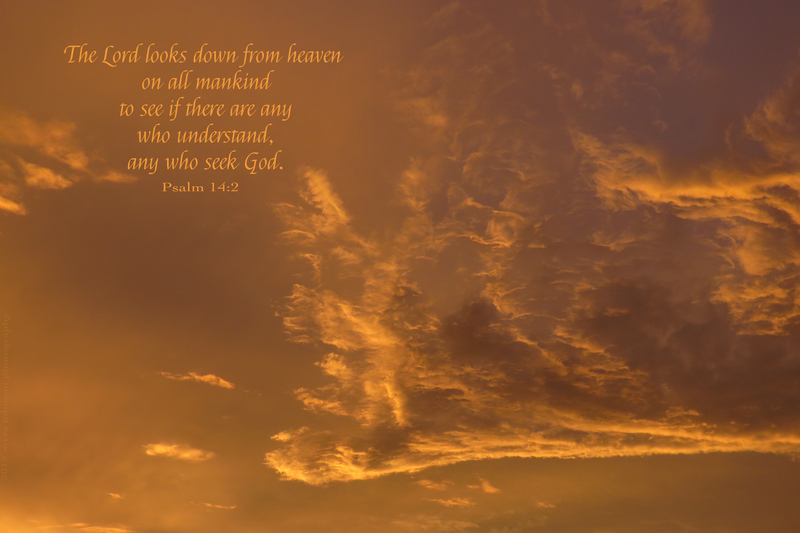 None of us can ever enter heaven on our own. Because we are all hawks, and only those who are identified as eagles can get in. How can a hawk become an eagle? When Jesus died for the payment of our sin, He purchased “eagle clothes” if you will, for everyone who would accept them. Any hawk found to be without them—-after they have been offered—-will not be able to live forever with God. Heaven is a real place, just like Eagle’s Landing is a real place. There, only sinners saved by grace are allowed. Fifteen minutes, start to finish. That’s what the box said. I was putting up new blinds in a large window. First, I had to take the old hardware out of the window that was holding the old blinds. Since the new ones were a different size, it couldn’t stay. 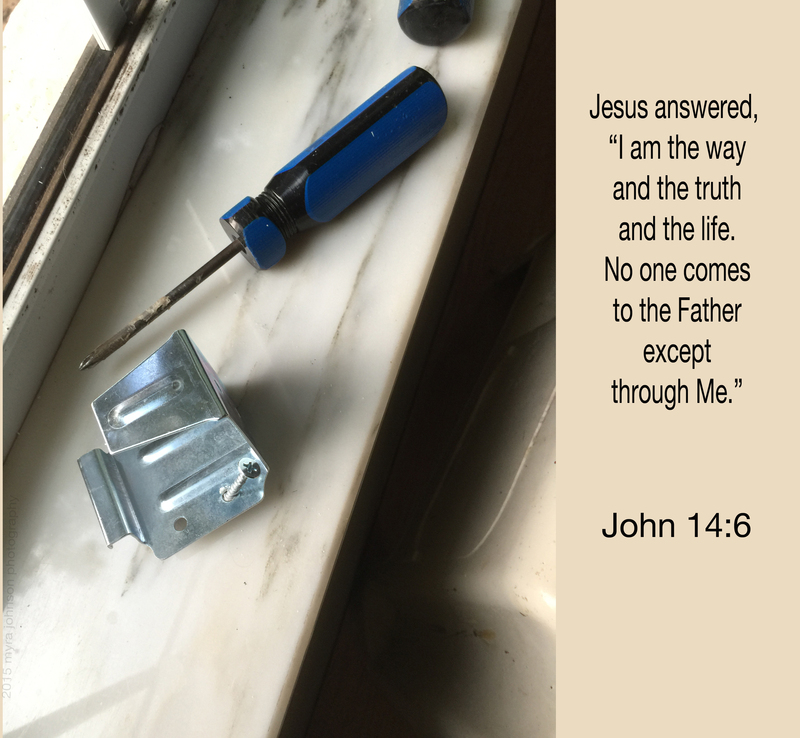 It’s hard to take out screws that are on the top of a window frame. As I used new screws to put in the new hardware, I tried to make everything secure. Along with the new blinds, a metal center support piece had to be screwed in to the top of the window frame. It was cumbersome, but I was able to get it securely in place. As I climbed up on the stepping stool with the new (and quite heavy) blinds in my hands, I tried to fit them into the mounted hardware. I had mounted the center support piece right at the spot where a plastic cord guide was inside the top bar. It simply could not work. I was very close to having the metal in the right spot, but close was not good enough. Taking it down, I had to move it over an inch or so. After a lot of work, the blinds were hung. It made me start to think…. There are a lot of religious groups that almost teach the truth. Statements like this are only partly true. They are close, but not correct. No amount of wanting it to be true will make it so. Like the support piece, we have to have our hope for salvation in the right place. Apart from Him, we can do nothing to save ourselves. He sat there so lonely looking. I think I have felt like this animal looks. 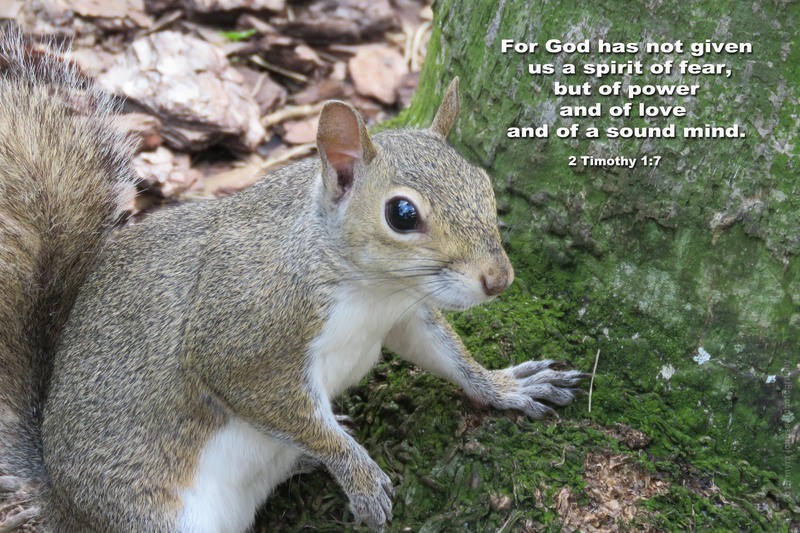 When we feel like this animal looks, we can turn to God for help. 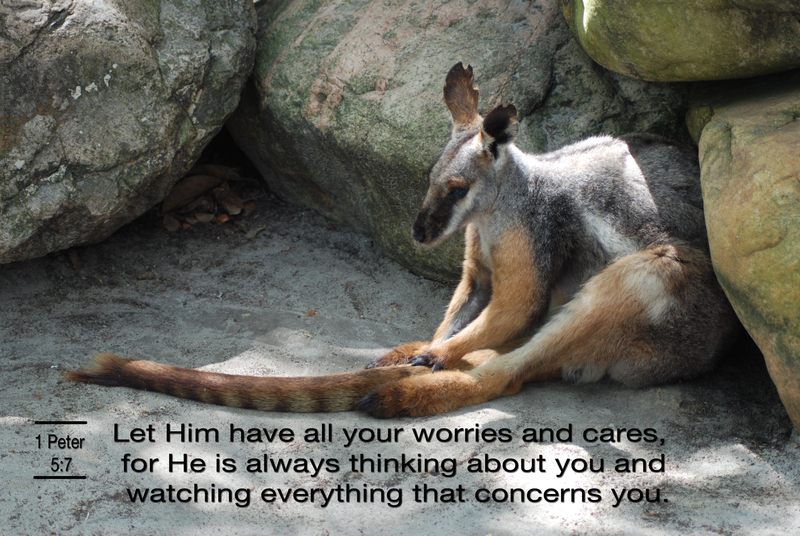 He is always there with us, able to comfort us in whatever situation we may find ourselves. What does it mean to notice something? To give focused attention to it. The magnificence of His creative work in a flash of lightning is the same as the magnificence of His creative work in the petals of a flower. All the works of God are beautiful and majestic, from the tiniest bacteria to the largest nebula in space. All the works of God are to be noticed. 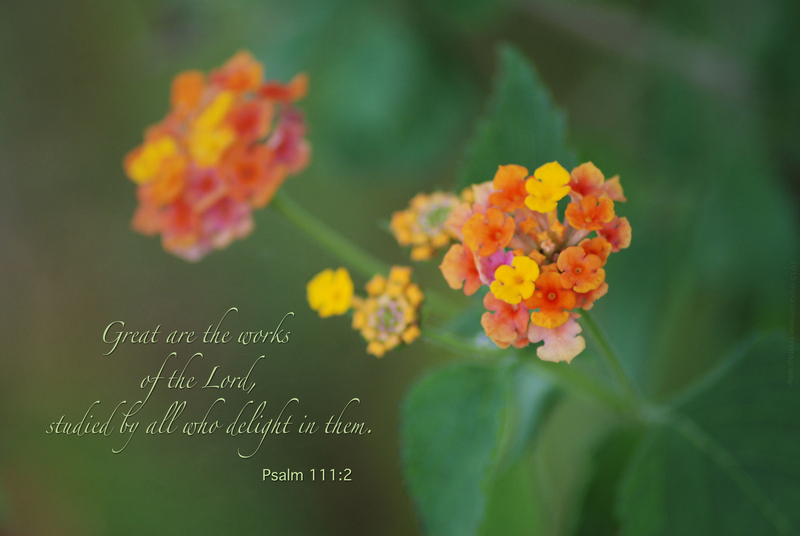 They are given to us so we can delight in them and in our Creator. There are times when I see a bird alone and I feel sorry for it…. They are probably doing just fine, but it’s almost as if I feel that they are lonely. No other birds to fly with. No other birds to play in the water with. Searching for food, just looking around—–alone. 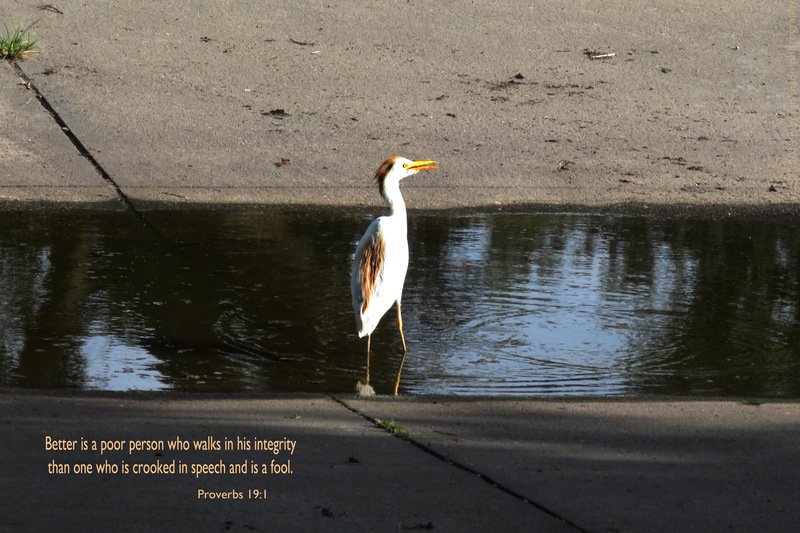 At the end of my driveway, a bird stood all by himself in the water that had collected from the rain. When I think about people instead of birds, I realize that there are times when it is good to be alone. It is certainly good to be alone for a time of prayer and Bible study. Being alone to just reflect on life and important decisions that need to be made is of great importance. There are other times that being alone is good, as well. Times when we don’t fit in, and we are alone. Times when we hold to the truth that God has given us, even when it is not accepted. We may find ourselves alone, then, too. If we are alone because we are following God, seeking integrity in His eyes, that is cause enough to choose that solitude. My rosebush was just two big. It had grown tall over the years and I had not pruned it as I should have. Several days ago, I decided to drastically prune the bush, cutting off almost every branch. Gathering the cut branches, I put them all in a vase of water, hoping that I could use these cuttings to have other rosebushes in the yard. Today was the day—-I decided to plant several of the branches in two flower beds. 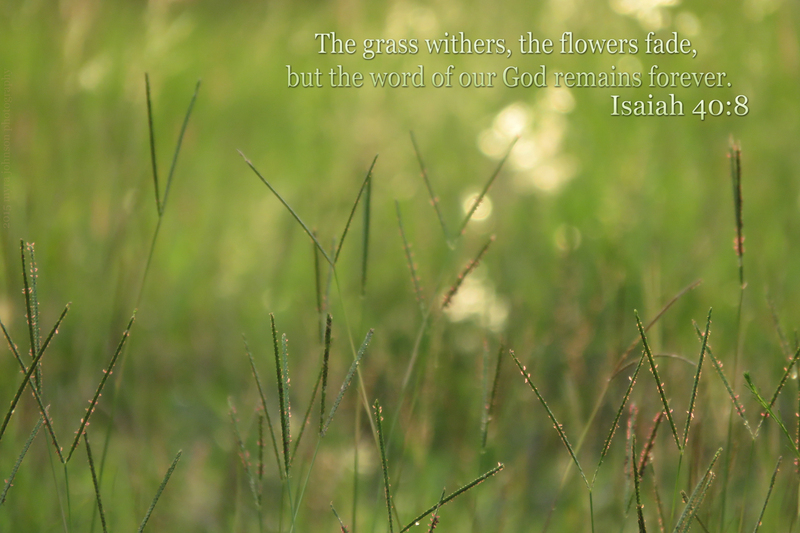 As I was planting them, I noticed a neighbor at the edge of her yard, photographing the sunset. From where I was, the scene was blocked by the house next door. When I went to investigate what she was photographing, I, too, wanted to capture that moment forever! Taking a quick photo with my phone, I went inside and retrieved my camera to take more photos. Beams of light soared through the sky, emerging from silver lined clouds of gray. Soon, another neighbor was out photographing it, as well. We were all quite captivated by the glorious display. 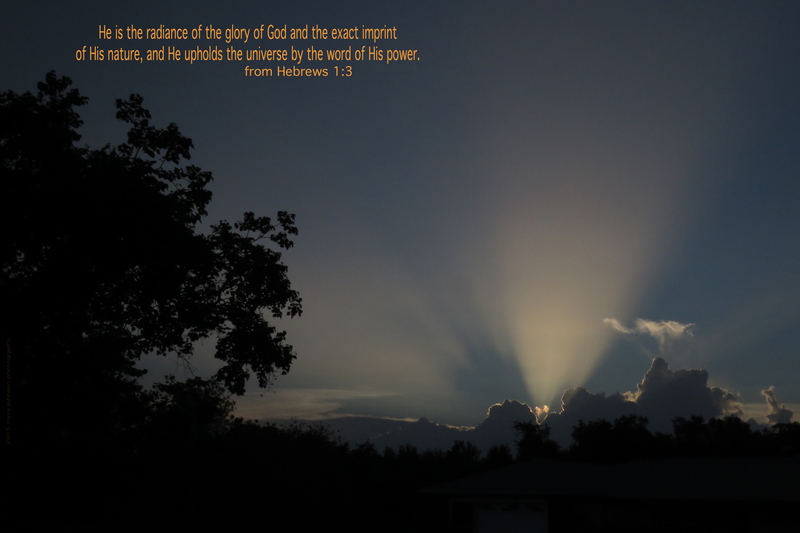 When I look at the setting or rising sun, I can only imagine what Heaven will be like where the glory of God shines forever and ever, without end. What we allow to lodge within our hearts really does matter. Late this afternoon, my fifteen year old basset hound became quite persistent in her requests for my attention. Knowing her as I do, I got the leash and took her for a walk in our neighborhood. At the corner of our front yard, we have a sizeable palm tree. It’s trunk is quite large—it has taken twenty-three years to grow into its present state. Walking the dog by the tree, I noticed something that I hadn’t before. A fern plant was growing out of it’s trunk. This is a common occurrence in my area, but it had not happened before in one of my own trees. Also in the front lawn, we actually have several ferns that grow–-on the ground. The fern that is growing out of our palm tree is doing so because a spore from a fern in the yard came and attached itself to the palm tree. Finding the palm tree a suitable place to thrive, it began to do just that. We are like that palm tree–you and me. If there is an opening in our hearts, things can take root there and begin to grow. It can be something good and good for us or it can be something bad and bad for us. 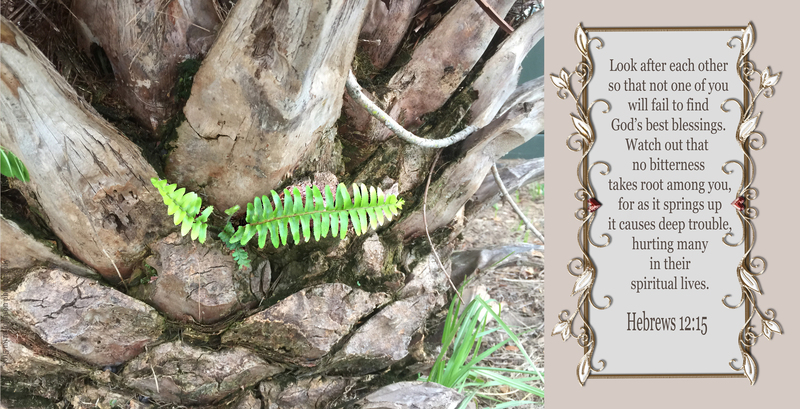 Right now, the little fern looks pretty emerging from the tree. I realize though, if more and more ferns come to find my tree as a home, its trunk will hardly be recognizable at some point. It’s like that with us, too. We can become so filled with the good things that God wants for us that we are hardly recognizable as the person we used to be. We can also become so filled with bad things that will do us harm that we are hardly recognizable as the person we used to be. What are we going to allow to grow inside our hearts? I almost didn’t go to the meeting. The sky was turning dark gray and I was hesitant to possibly be driving in a storm. At the last minute, I decided to go. On the way back home when the meeting had ended, it was still raining and lightning was splitting the sky above me. As I drove, I began to notice that there was a break in the clouds just where the sun was setting. For about twenty minutes, I watched as magnificent colors of light cascaded across the sky in front of me. Pulling my car to the side of the road, I took some photographs as the scene unfolded. As I was continuing my journey home, blazing forks of lightning ripped through the clouds over my car. There was not a time, however, that I could not see the light piercing through the opening in the atmosphere. Even though we may feel that we are surrounded by darkness and sin in the world, we do not have to walk in darkness ourselves. 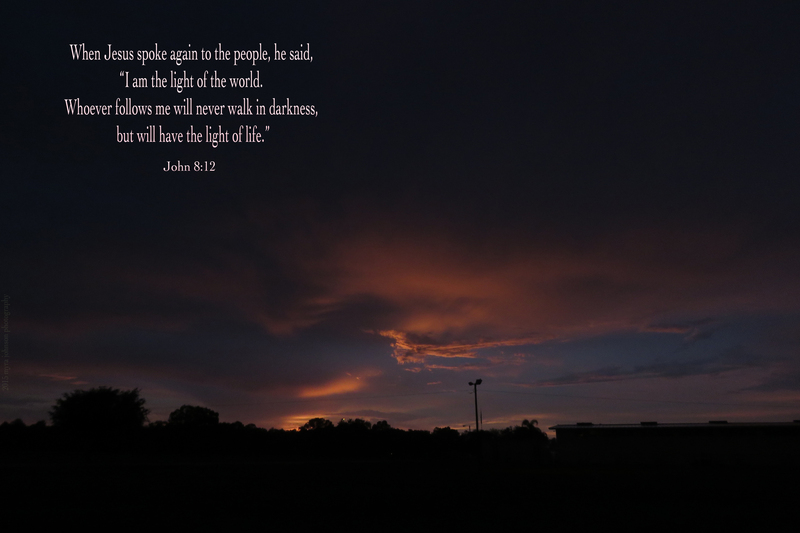 We can follow Jesus, who is the light of the world, keeping our eyes on Him. The sky was getting gray and the wind was picking up. Hoping for rain, I checked the weather report. 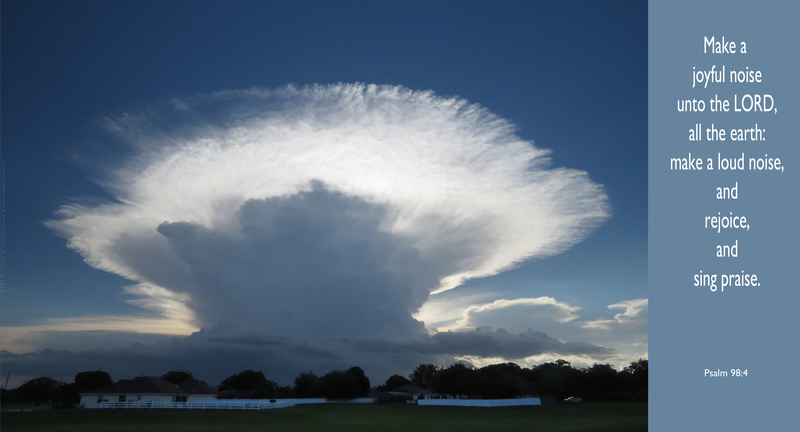 A storm was coming, and there were warnings about its severity. Once it came, the lightning and thunder lasted for a few hours. Finally, when I thought it was safe, I took my dog outside for a walk. She is a 15 year old basset hound. We were well into my front yard when lightning flashed. The storm was not over and we were not safe. Immediately, I began to talk to my dog and tug on her leash, telling her that we had to go in. This was not what she wanted to hear. I pulled on the leash and verbally commanded her to come with me into the house. All 65 pounds of her….. Trying to coerse and encourage as I tugged her leash, we both finally made it into the house and away from the lightning. 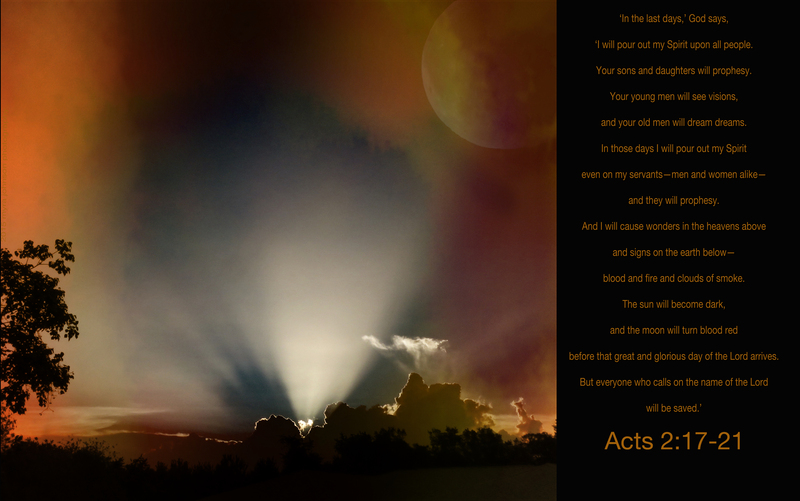 Almost immediately I began to think about how we act sometimes with God. When we are in danger—physically or spiritually, God is aware. He may tell us to do something in order to get out of that danger. If we are stubborn and we don’t listen to what He says, we place ourselves at continued risk, even in the midst of God’s direction. 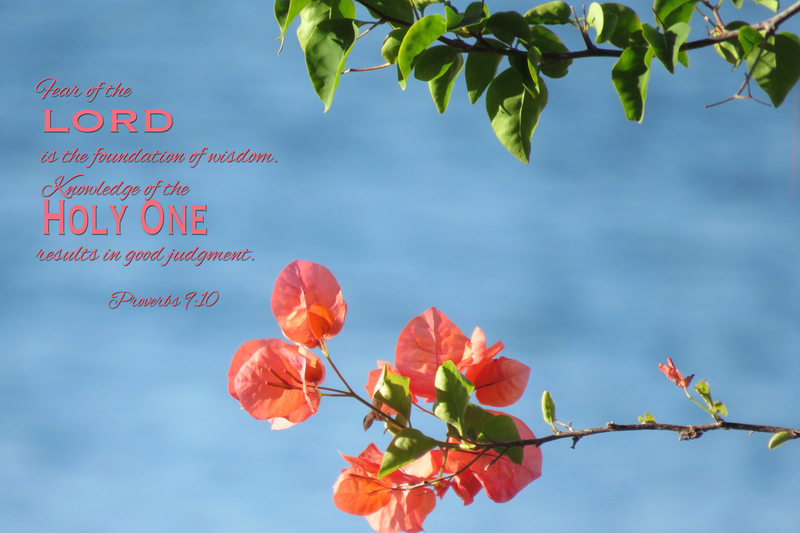 Are you listening for God’s wisdom to direct you? It’s a neighborhood I always like to visit. About a twenty minute drive from where I live, there is a quiet little neighborhood with a walkway behind the homes. Strolling along on this walkway, I enjoy seeing the flowers and landscaping in the backyards. Visiting there recently, I noticed that someone had constructed a boardwalk leading down to a lake. That would make it a lot easier to traverse the path to the water. 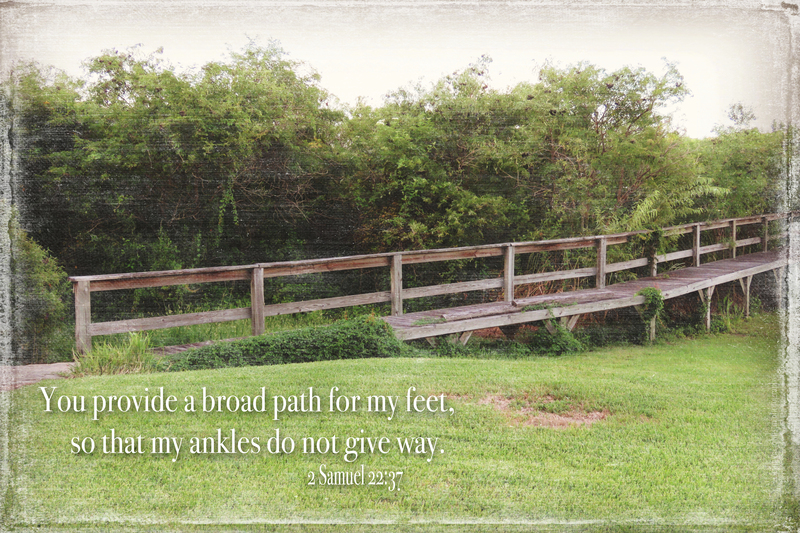 Are there times that you’ve realized that God had made an easier pathway for you to travel on? Above the grass, rocks and thick brush, you’ve been placed on a firm deck, protected from potential harm. As we go through our lives, we are faced with the challenge of choosing what is best in all things. Some choices seem trivial—What coat should I buy? Other choices are life altering—Where should I live? 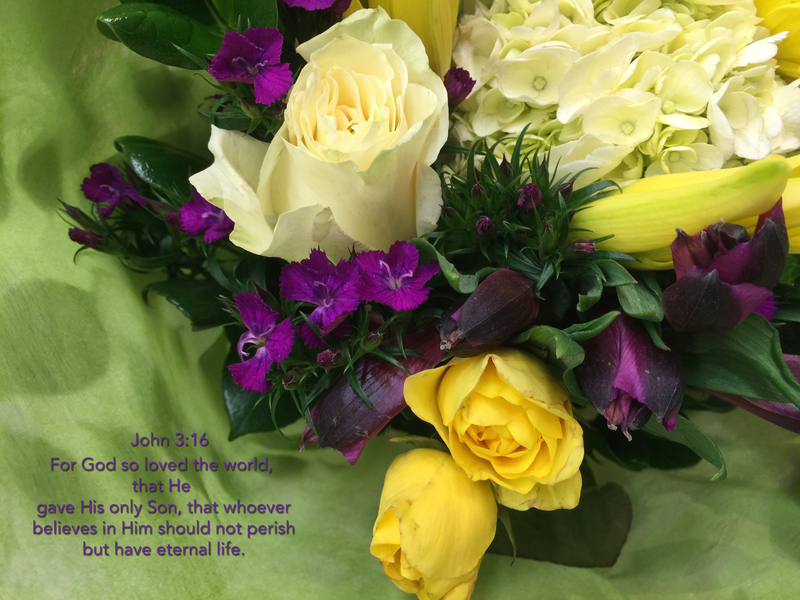 One choice is for eternity—Will I accept God’s gift of eternal life through Jesus, His Son?